After your day of fishing, hunting, mountain biking or horse trails in the Sequoia National Forest and Sequoia National Monument ( ten miles from the Trail of Hundred Giants) You can relax in the Natural Hot Springs just minutes away. 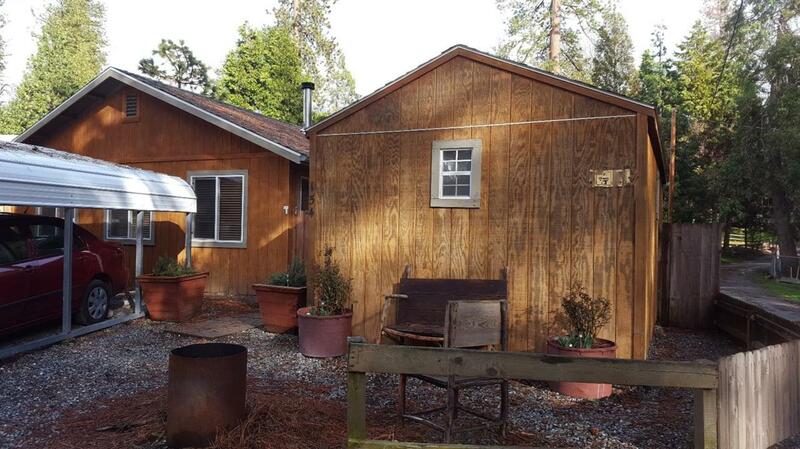 Built in 2004 this home has all the modern amenities that you could want in a comfortable and quiet living space and stands out from the older cabins around the area. It features 2x6 construction, plastered walls, PEC water pipes and underground drainage. The 12'x24' Shop will take care of all your hobbie and building needs. Comfortable in summer and winter . The wood stove is imported from Sweden and has no problem keeping you warm in the winter.